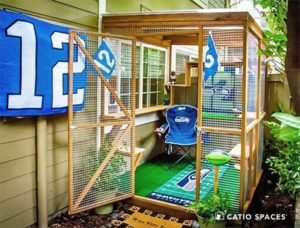 Catios are enclosed outdoor patios for cats, and sometimes their humans, designed to keep cats safe while enriching their lives in the great outdoors. 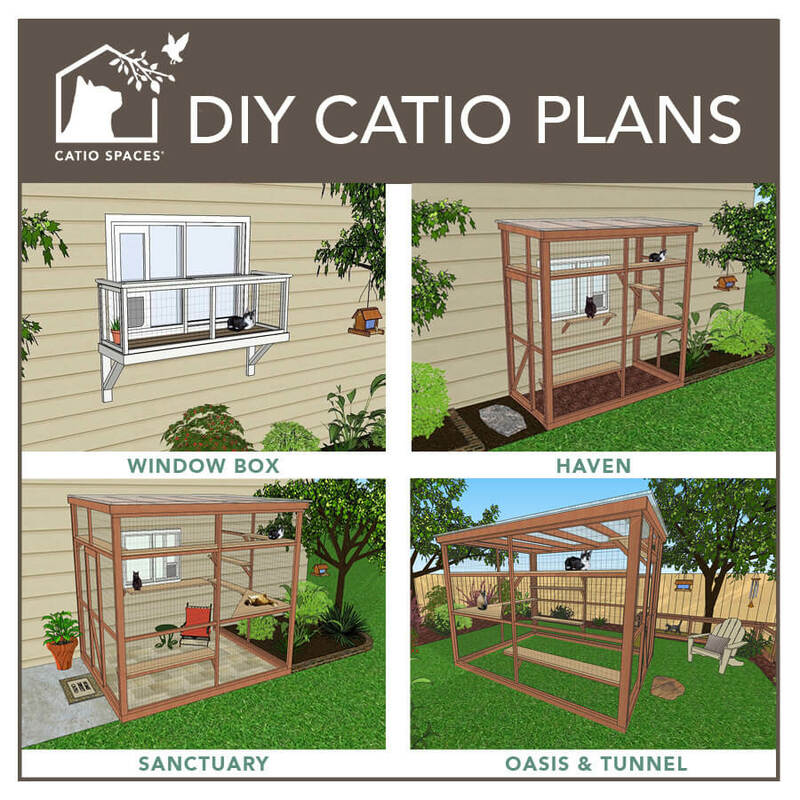 Catios come in a variety of designs and sizes, from a small window box to a large back yard enclosure, that add a unique feature to your home and provide a safe outdoor space that supports your cat’s happiness and well-being. While being outside provides stimulation and enrichment, the dangers of the outdoors puts free-roaming cats at risk and poses a serious threat to wildlife. Catios are the perfect compromise, giving cats the enrichment they crave while keeping them away from wildlife and other dangers. Catios are becoming increasingly popular around the world as cat parents seek peace of mind while satisfying their cat’s natural instincts to be outdoors. Is your cat telling you it’s time to get a catio? Learn about our DIY catio plans and custom-catio solutions. Should I consider a catio? There are many benefits of catios including protecting wildlife, reducing common behavioral challenges and deepening the relationship between you and your cat. Multi-cat families can face challenges such as territorial conflicts. Catios can help issues like cat aggression or even help keep door-dashers from escaping. They can also be fantastic for senior and special-needs cats, or any feline who longs to feel the wind in their whiskers. Every cat is unique both in personality and behavior. If your cat is becoming destructive, bored, fighting, gaining weight or using your indoor plants as litter boxes, it might be #timetogetacatio. There are many signs that your cat needs a catio. Can catios work for my home? and even catios on NYC skyscrapers! Catios can be a great solution for any home with cats to provide their daily needs for stimulation and enrichment. Can I customize my catio? Absolutely! Catios are an extension of you and your home. Whether you work with us to create a custom catio, or purchase one of our DIY catio plans, you can create an outdoor haven to suit your style and your feline’s fancy. Even Halloween decorations and sports memorabilia! And for those looking for some extra inspiration, here are five must-see-to-believe catios to get your ideas going! Is building a DIY catio hard? Not at all! In fact, we’re here to make it easy with our DIY catio plans and monthly blogs to help keep your catio a safe-zone and your kitty thriving. We have tips to get you started and hacks to make the process easy. By doing all the planning and decision-making up front, building it can be an enjoyable weekend project. 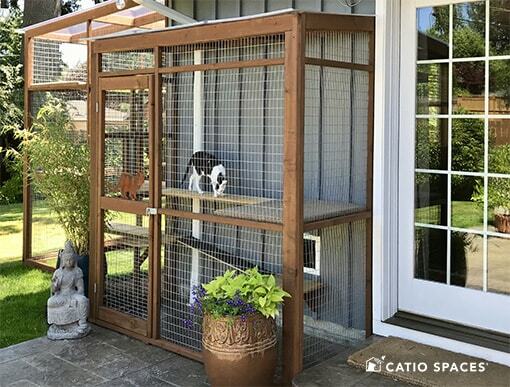 We also provide these handy tips to consider as you make your new catio your own. Simple! 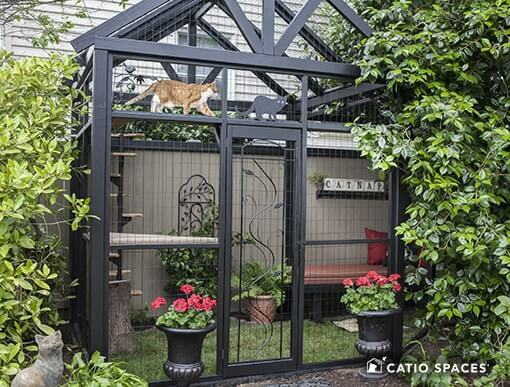 Just pick a DIY catio plan that’s purrfect for you, and either enjoy building it yourself—or hire a local carpenter to build the plan for you. Our DIY plans save time and money by providing you with the blueprint including a materials list, tool list, step-by-step instructions and diagrams. 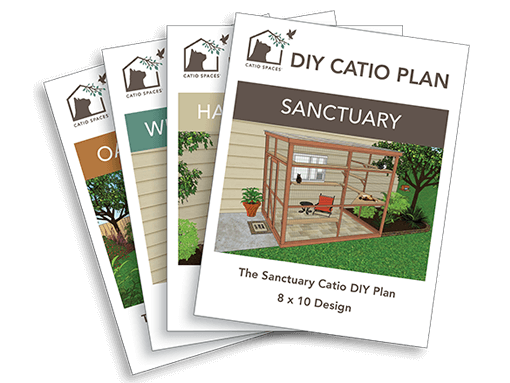 Choose a catio plan and the downloadable PDF lets you get started right away! Window Box™: Available in multiple sizes, the window box is a compact, veranda-style window ideal for slider or sash windows. Sanctuary™: A spacious, 3-sided catio for a garden, patio or deck has room for human seating to enjoy bonding with your cat outdoors. Oasis™ & Tunnel: A deluxe, 4-sided catio for a garden or yard with a cat tunnel connecting to a house adds a new level of adventure for your kitty. Plenty of space for human seating too. What are cat parents saying? 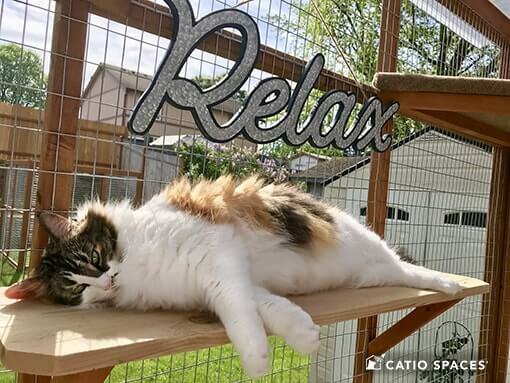 Your catio plans were super easy to follow and it turned in to being a great weekend project. The finished catio looks, and is, like an extension of our house. Our little felines took a quick liking to it and the catio has given my wife and I peace of mind. Thank you from the bottom of our hearts for the DIY plans and giving our cats the freedom to enjoy the outdoors in a safe environment! We LOVE helping cat parents find solutions to create safe and fulfilling lives for their cats. 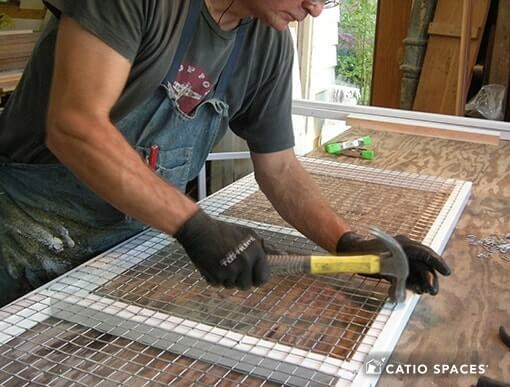 For more DIY catimonials, read here. And be sure to sign-up for our free catio tips!